For other uses, see Menominee (disambiguation). Some placenames use other spellings; see also Menomonee (disambiguation) and Menomonie (disambiguation). The Menominee (/məˈnɑːməˌni/; also spelled Menomini, derived from the Ojibwe language word for "Wild Rice People"; known as Mamaceqtaw, "the people", in the Menominee language) are a federally recognized nation of Native Americans, with a 353.894 sq mi (916.581 km2) reservation in Wisconsin. Their historic territory originally included an estimated 10 million acres (40,000 km2) in present-day Wisconsin and the Upper Peninsula of Michigan. The tribe currently has about 8,700 members. The tribe was terminated in the 1960s under policy of the time which stressed assimilation. During that period, they brought what has become a landmark case in Indian law to the United States Supreme Court, in Menominee Tribe v. United States (1968), to protect their treaty hunting and fishing rights. The Wisconsin Supreme Court and the United States Court of Claims had drawn opposing conclusions about the effect of the termination on Menominee hunting and fishing rights on their former reservation land. The U.S. Supreme Court determined that the tribe had not lost traditional hunting and fishing rights as a result of termination, as Congress had not clearly ended these in its legislation. The Menominee are part of the Algonquian language family of North America, made up several tribes now located around the Great Lakes and many other tribes based along the Atlantic coast. They are one of the historical tribes of present-day upper Michigan and Wisconsin; they occupied a territory of about 10 million acres (40,000 km2) in the period of European colonization. They are believed to have been well-settled in that territory for more than 1,000 years. By some accounts, they are descended from the Old Copper Culture people and other indigenous peoples who had been in this area for 10,000 years. Menominee oral history states that they have always been here. Their reservation is located 60 miles west of the site of their Creation, according to their tradition. They arose where the Menominee River enters Green Bay of Lake Michigan, where the city of Marinette, Wisconsin has since developed. Their name for themselves is Mamaceqtaw, meaning "the people". The name "Menominee" is not their autonym. It was adopted by Europeans from the Ojibwe people, another Algonquian tribe whom they encountered first as they moved west and who told them of the Menominee. The Ojibwe name for the tribe was manoominii, meaning "wild rice people", as they cultivated wild rice as one of their most important food staples. Historically, the Menominee were known to be a peaceful, friendly and welcoming nation, who had a reputation for getting along with other tribes. When the Oneota culture arose in southern Wisconsin between AD 800 and 900, the Menominee shared the forests and waters with them. The Menominee are a Northeastern Woodlands tribe. They were initially encountered by European explorers in Wisconsin in the mid-17th century during the colonial era, and had extended interaction with them during later periods in North America. During this period they lived in numerous villages which the French visited for fur trading. The anthropologist James Mooney in 1928 estimated that the tribe's number in 1650 was 3,000 persons. The early French explorers and traders referred to the people as "folles avoines" (wild oats), referring to the wild rice which they cultivated and gathered as one of their staple foods. The Menominee have traditionally subsisted on a wide variety of plants and animals, with wild rice and sturgeon being two of the most important. Wild rice has a special importance to the tribe as their staple grain, while the sturgeon has a mythological importance and is often referred to as the "father" of the Menominee. Feasts are still held annually at which each of these is served. Menominee customs are quite similar to those of the Chippewa (Ojibwa), another Algonquian people. Their language has a closer affinity to those of the Fox and Kickapoo tribes. All four spoke Anishinaabe languages, part of the Algonquian family. The five principal Menominee clans are the Bear, the Eagle, the Wolf, the Crane, and the Moose. Each has traditional responsibilities within the tribe. With a patrilineal kinship system, traditional Menominee believe that children derive their social status from their fathers, and are born "into" their father's clan. Members of the same clan are considered relatives, so must choose marriage partners from outside their clan. Ethnologist James Mooney wrote an article on the Menominee which appeared in Catholic Encyclopedia (1913), incorrectly reporting that their descent and inheritance proceeds through the female line. Such as a matrilineal kinship system is common among many other Native American peoples, including other Algonquian tribes. Menominee mythology is rich with ethical meaning. It has many elements in common with the sacred literature and cultures of other Native American peoples. Traditional Menominee believe that the Earth forms a partition between the upper and lower worlds. The upper world represents good and the lower world represents evil. These two worlds are divided into several layers, the furthest being the most powerful. The Sun is at the highest level in the upper world, followed by the Thunderbird and the Morning Star, the Golden Eagles (symbols of war) and other birds, led by the Bald Eagle. The first level below the earth in the lower world is occupied by the Horned Serpent. The succeeding lower levels are the home of the White Deer, who helped create the Medicine Dance. The next level is that of the Underwater Panther. The lowest level is ruled by the Great White Bear. Traditional Menominee use dreaming as a way of connecting with a guardian spirit in order to gain power. During the rite of passage at puberty, both boys and girls fast for days, living in a small isolated wigwam. The youths meet individually with Elders for interpretation of their dreams. The Elders inform the youths what responsibilities they will take on following their rite of passage. Allium tricoccum is consumed as part of the traditional diet of the Menominee. They string the dried, boiled, sliced potatoes of Sagittaria cuneata together for winter use. Uvularia grandiflora is used for swellings. Pseudognaphalium obtusifolium, ssp obtusifolium also is used medicinally. Please see that article for full information. Taenidia integerrima is taken as an infusion of root for pulmonary troubles, and as chew, the steeped root, for 'bronchial affections', and use it as a seasoner for other remedies because of the good smell. Maehkaenah is the Menominee word for turtle. In his The Indian Tribes of North America (1952), John Reed Swanton recorded under the "Wisconsin" section: "Menominee," a band named "Misi'nimäk Kimiko Wini'niwuk, 'Michilimackinac People,' near the old fort at Mackinac, Mich." Michillimackinac is also spelled as Mishinimakinago, Mǐshǐma‛kǐnung, Mi-shi-ne-macki naw-go, Missilimakinak, Teiodondoraghie. Early fur traders, coureur-de-bois, and explorers from France encountered their descendants: the Menominee, Chippewa (Ojibwa), Ottawa, Potawatomi, Sauk, Fox, Winnebago, and Miami. It is believed that the French explorer Jean Nicolet was the first non-Native American to reach Lake Michigan in 1634 or 1638. Menominee signature on Great Peace of Montreal in 1701 depicting a thunderbird holding a wild oat stem. In 1634, the Menominee and Ho-Chunk people (along with a band of Potawatomi who had recently moved into Wisconsin) witnessed the French explorer Jean Nicolet's approach and landing. Red Banks, near the present-day city of Green Bay, Wisconsin, later developed in this area. Nicolet, looking for a Northwest Passage to China, hoped to find and impress the Chinese. As the canoe approached the shore, Nicolet put on a silk Chinese ceremonial robe, stood up in the middle of the canoe and shot off two pistols. After we had advanced five or six leagues, we found ourselves abreast of a little island, which lies near the western side of the bay, and which concealed from our view, the mouth of a river, on which stands the village of the Malhomines Indians, called by our French "peuples d'avoines" or Wild Oat Indians, probably from their living chiefly on this sort of grain. The whole nation consists only of this village, and that too not very numerous. 'Tis really great pity, they being the finest and handsomest men in all Canada. They are even of a larger stature than the Potawatomi. I have been assured that they had the same original and nearly the same languages with the Noquets, and the Indians at the Falls. The Menominee gradually sold much of their lands in Michigan and Wisconsin to the U.S. government through seven treaties from 1821 to 1848, first ceding their lands in Michigan. The US government wanted to move them to the far west in the period when Wisconsin was organizing for statehood, to extinguish all Native American land claims. Chief Oshkosh went to look at the proposed site on the Crow River and rejected the offered land, saying their current land was better for hunting and game. The Menominee retained lands near the Wolf River in what became their current reservation. The tribe originated in the Wisconsin and are living in their traditional homelands. The Menominee Indian Reservation is located in northeastern Wisconsin. For the most part, it is conterminous with Menominee County and the town of Menominee, which were established after termination of the tribe in 1961 under contemporary federal policy whose goal was assimilation. The tribe regained its federally recognized status and reservation in 1975. The reservation was created in a treaty with the United States signed on May 12, 1854 in which the Menominee relinquished all claims to the lands held by them under previous treaties, and were assigned 432 square miles (1,120 km2) on the Wolf River in present-day Wisconsin. An additional treaty, which they signed on February 11, 1856, carved out the southwestern corner of this area to create a separate reservation for the Stockbridge and Lenape (Munsee) tribes, who had reached the area as refugees from New York state. The latter two tribes have the federally recognized joint Stockbridge-Munsee Community. After the tribe had regained federal recognition in 1973, it essentially restored the reservation to its historic boundaries in 1975. Many small pockets of territory within the county (and its geographically equivalent town) are not considered as part of the reservation. These amount to 1.14% of the county's area, so the reservation is essentially 98.86% of the county's area. The largest of these pockets is in the western part of the community of Keshena, Wisconsin. The reservation includes a plot of off-reservation trust land of 10.22 acres (41,400 m2) in Winnebago County, Wisconsin to the south, west of the city of Oshkosh. The reservation's total land area is 353.894 sq mi (916.581 km2), while Menominee County's land area is 357.960 sq mi (927.11 km2). The small non-reservation parts of the county are more densely populated than the reservation, holding 1,337 (29.3%) of the county's 4,562 total population, as opposed to the reservation's 3,225 (70.7%) population, as of the 2000 census. The most populous communities are Legend Lake and Keshena. Since the late 20th century, the members of the reservation have operated a number of gambling facilities in these communities as a source of revenue. They speak English as well as their traditional Menominee language, one of the Algonquian languages. Current population of the tribe is about 8,700. The Menominee have traditionally practiced logging in a sustainable manner. In 1905, a tornado swept through the reservation, downing a massive amount of timber. Because the Menominee-owned sawmills could not harvest all the downed timber before it decomposed, the United States Forest Service became involved in managing their forest. Despite the desire of the tribe and Senator Robert M. La Follette, Sr. for sustainable yield policy, the Forest Service conducted clear-cutting on reservation lands until 1926, cutting 70 percent of the salable timber. Dan Waupoose, a Menomini chief; training at Algiers, Louisiana during World War II. U.S. Navy photograph, August 24, 1943. The Menominee were among the Native Americans who participated as soldiers in World War II with other United States citizens. During the 1950s, federal Indian policy envisioned termination of the "special relationship" between the United States government and those tribes considered "ready for assimilation" to mainstream culture. The Menominee were identified for termination, which would end their status as a sovereign nation. At the time, the Klamath people in Oregon were the only other tribal group identified for termination. The Bureau of Indian Affairs (BIA) believed the Menominee were sufficiently economically self-reliant on their timber industry to be successful independent of federal assistance and oversight. Before termination, they were one of the wealthiest American Indian tribes. In 1954, Congress passed a law which phased out the Menominee reservation, effectively terminating its tribal status on April 30, 1961. Commonly held tribal property was transferred to a corporation, Menominee Enterprises, Inc. (MEI). It had a complicated structure and two trusts, one of which, First Wisconsin Trust Company, was appointed by the BIA. First Wisconsin Trust Company always voted its shares as a block, and essentially could control the management operations of MEI. At the request of the Menominee, the state organized the former reservation as a new county, so they could maintain some coherence. The tribe was expected to provide county government functions but it became a colony of the state. The change resulted in diminished standards of living for the members of the tribe; officials had to close the hospital and some schools in order to cover costs of the conversion: to provide their own services or contract for them as a county. Menominee County was the poorest and least populated Wisconsin county during this time, and termination adversely affected the region. Tribal crafts and produce alone could not sustain the community. As the tax base lacked industry, the Menominee could not fund basic services. MEI funds, which totaled $10 million in 1954, dwindled to $300,000 by 1964. Struggling to manage financially, the white-dominated MEI proposed in 1967 to raise money by selling off former tribal lands to non-Native Americans, which resulted in a fierce backlash among the Menominee. 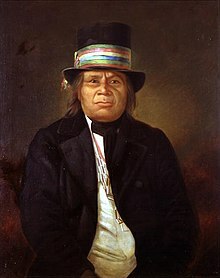 It was a period of Indian activism, and community members began an organizing campaign to regain political sovereignty as the Menominee Tribe. Activists included Ada Deer, an organizer who would later become an advocate for Native Americans at the federal level as Assistant Secretary of Indian Affairs (1993–1997). In 1970 the activists formed a group called the Determination of Rights and Unity for Menominee Stockholders (DRUMS). They blocked the proposed sale of tribal land by MEI to non-Indian developers, and successfully gained control of the MEI board of directors. They also persuaded Congress to restore their status as a federally recognized sovereign tribe by legislation. At the same time, President Richard Nixon encouraged a federal policy to increase self-government among Indian tribes, in addition to increasing education opportunities and religious protection. He signed the bill for federal recognition of the Menominee Tribe of Wisconsin on December 22, 1973. The sovereign tribe started the work of reorganizing the reservation, which they re-established in 1975. Tribal members wrote and ratified a tribal constitution in 1976, and elected a new tribal government, which took over from BIA officials in 1979. During the period of termination, when the Menominee individually were subject to state law, in 1963 three members of the tribe were charged with violating Wisconsin's hunting and fishing laws on what had formerly been their reservation land for more than 100 years. The tribal members were acquitted. When the state appealed the decision, the Wisconsin Supreme Court held that the Menominee tribe no longer had hunting and fishing rights due to the termination act of Congress in 1954. Due to the state court's ruling, the tribe sued the United States for compensation for the value of the hunting and fishing rights in the U.S. Court of Claims, in Menominee Tribe v. United States (1968). The Court ruled that tribal members still had hunting and fishing rights, and that Congress had not abrogated those rights. The opposite rulings by the state and federal courts brought the issue to the United States Supreme Court. In 1968 the Supreme Court held that the tribe retained its hunting and fishing rights under the treaties involved, and the rights were not lost after federal recognition was ended by the Menominee Termination Act, as Congress had not clearly removed those rights in its legislation. This has been a landmark case in Indian law, helping preserve Native American hunting and fishing rights. The tribe operates according to a written constitution. It elects a tribal council and president. The Menominee developed the College of Menominee Nation in 1993 and it was accredited in 1998. It includes a Sustainable Development Institute. Its goal is education to promote their ethic for living in balance on the land. It is one of a number of tribal colleges and universities that have been developed since the early 1970s, and one of two in Wisconsin. The nation has a notable forestry resource and ably manages a timber program. In an 1870 assessment of their lands, which totaled roughly 235,000 acres (950 km2), they counted 1.3 billion standing board feet of timber. Today that has increased to 1.7 billion board feet. In the intervening years, they have harvested more than 2.25 billion board feet. ^ Brief History - About Us. The Menomonee Indian Tribe of Wisconsin. ^ a b Boatman, John (1998). Wisconsin American Indian History and Culture. Dubuque, IA: Kendall/Hunt Publishing Co., p.37. ^ Menominee Indian Tribe of Wisconsin. Who are We? ^ a b Swanton, John R. (1952). Indian Tribes of North America. Washington, D.C.: U.S. Government Printing Office. Reprinted by the Smithsonian Institution, 1974, 1979, 1984, pp. 250–256. ^ Ross, Norbert; Medin, Douglas; Cox, Douglass (2006). Culture and Resource Conflict: Why Meanings Matter. New York: Russell Sage Foundation. ISBN 978-0-87154-570-1. ^ Baraga, Frederic (1878). A Dictionary of the Otchipwe Language. Montreal: Beauchemin & Valois, v. 2, p. 248. ^ Bogue, Margaret Beattie (1985). Around the Shores of Lake Michigan: A Guide to Historic Sites, pp. 7–13. University of Wisconsin Press. ISBN 0-299-10004-9. ^ Charlevoix., Pierre Francois Xavier de (1928). Louise Phelps Kellogg, Ph.D., ed. Journal of a Voyage to North America in Two Volumes (Report). The Caxton Club. ^ The Menominee Tribe of Indians v. United States, 95 Ct.Cl. 232 (Ct.Cl., 1941). ^ a b Patty Loew (2001). Indian Nations of Wisconsin: Histories of Endurance and Renewal. Madison: Wisconsin Historical Society Press, pp. 31–34. ^ Tiller, Veronica. Tiller's Guide to Indian Country: Economic Profiles of American Indian Reservations, Bowarrow Publishing Company, 1996. ISBN 1-885931-01-8. ^ Indian Country Wisconsin, Milwaukee Public Museum, accessed 30 June 2008. ^ Nancy O. Lurie, (1971) "Menominee Termination," Indian Historian, 4(4): 31–43. ^ Alan McQuillan, "American Indian Timber Management Policy: Its Evolution in the Context of U. S. Forest History," in Trusteeship in Change: Toward Tribal Autonomy in Resource Management, eds. R. L. Clow and I Sutton (University Press of Colorado, 2001): 73–102. Beck, David R. M. (2005). The Struggle for Self-Determination: History of the Menominee Indians Since 1854. Lincoln, NE: University of Nebraska Press. Boatman, John (1998). Wisconsin American Indian History and Culture. Dubuque, IA: Kendall/Hunt Publishing. Davis, Thomas (2000). Sustaining the Forest, the People, and the Spirit. Albany, N.Y.: State University of New York. Loew, Patty (2001). Indian Nations of Wisconsin: Histories of Endurance and Renewal. Madison: Wisconsin Historical Society Press. Nichols, Phebe Jewell (Mrs. Angus F. Lookaround). Oshkosh The Brave: Chief of the Menominees, and His Family. Menominee Indian Reservation, 1954. Skinner, Alanson (1921). Material culture of the Menomini. Museum of the American Indian, Heye Foundation. Retrieved 25 August 2012. Wikimedia Commons has media related to Menominee. Herbermann, Charles, ed. (1913). "Menominee Indians" . Catholic Encyclopedia. New York: Robert Appleton Company.